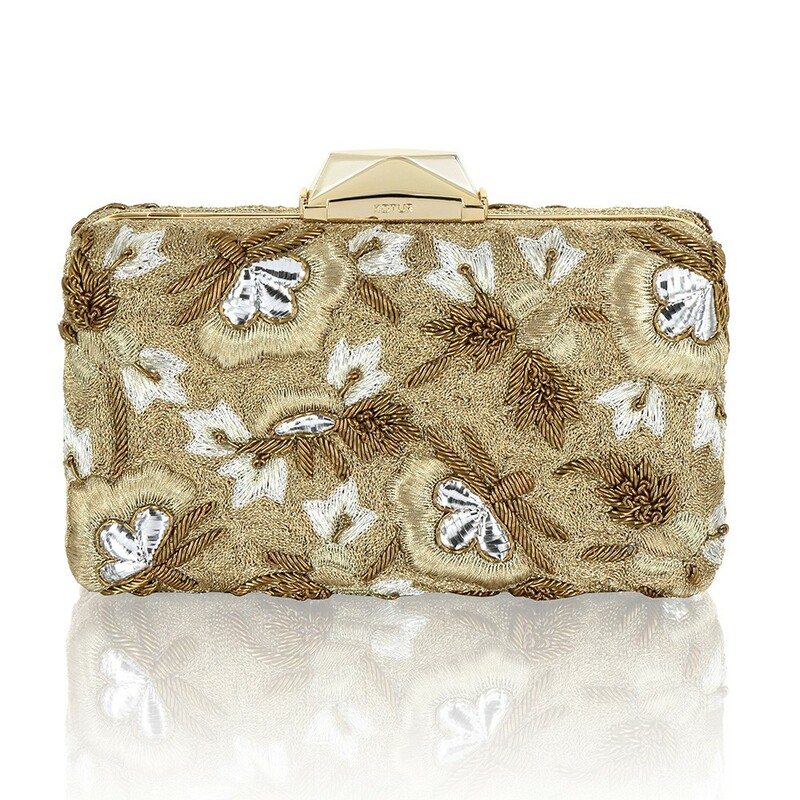 The Golden Floral Bullion clutch is beautifully handcrafted in India. The luxurious linen front is fully embroidered with delicate golden and silver ginko leaves, using an assortment of metallic colours and threads to create structure and a rich texture contrast. The striking clutch features KOTUR's signature brocade lining and a 30 cm drop-in shoulder chain, and is compact enough to fit evening essentials, including an iPhone 7+.